I know, I know, no one can help someone with a problem unless they recognize they have a problem; and they want help. As a friend, I want to help, but I've given it my best shot and failed. I'm begging for help from our readers to find suitable alternatives to this Audi S5 a dear friend has fallen in love with, as shown here on Craigslist, in Arkansas for $17,300 (but haggled down to very close to the DT self-imposed limit of $15,000). The friend of DT purchaser will NOT be doing any of his own maintenance and is uninformed as to incredible maintenance costs which are lurking. That said, the allure is simple; too many Jason Statham movies and youtube videos of the incredible siren song of the 4.2 V8. 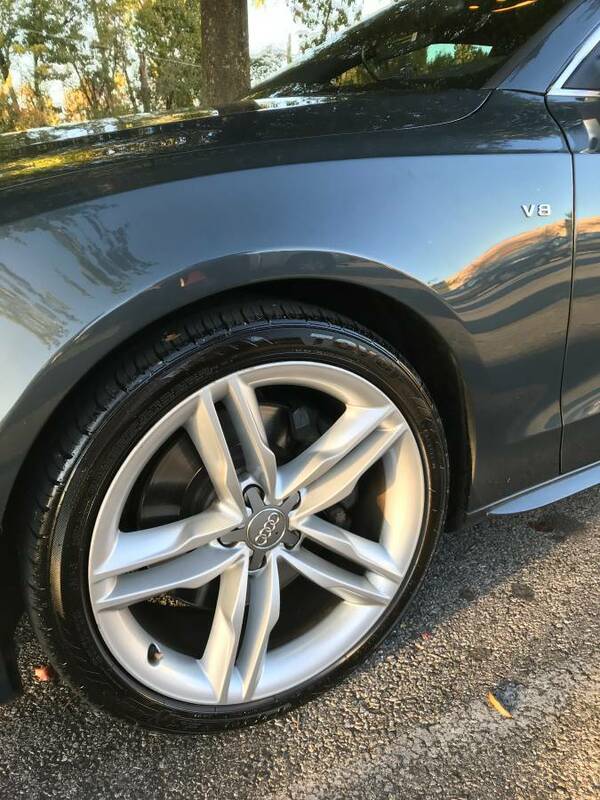 The picture above is specifically designed to attract the uninformed as its composed to focus the eye on the bling factor of the wheels and the V8 badge. I'm having a hard time turning his eye from the candy. All of the above is just foundational. Please help save a young guy who is getting ready to step out into the world and eager to spend his $15K of hard earned DT cash. 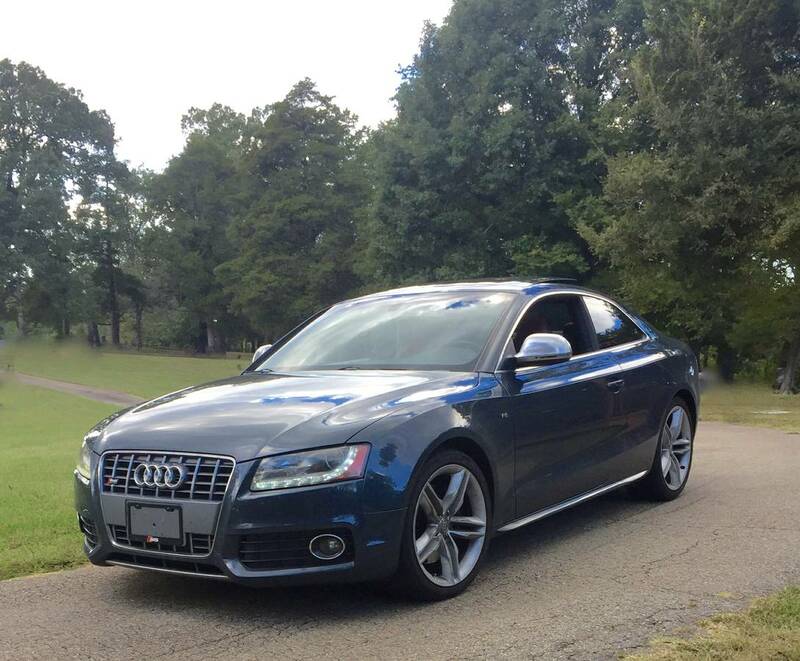 I'm seeking the horror stories of direct Audi V8 experience and suggestions of other cars within a 500 mile radius of 73069, that would still give this guy all the joy of some muscle, some luxury, some handling, but a whole lot less time spent crying over repair bills.. You guys are my last hope to save a dear friend. Hunsbloger crawls out of his hole every now and then to contribute more than his proofreading skills, feel free to submit your own stories, the bar is low! At least he will have some $ left over for repairs. And if learns to wrench himself he will save thousands. Lots of online support. When did the DT limit slip from $20k to $15k, or have I only been living in a dream? Back in the days of yore (2012) the self-imposed DT price cap was originally $15k. After some insignificant span of time had passed, we upped it to $20k. Ah, so you're telling me it is the drugs. Hard to say about the Z3's maintenance costs when somebody swapped a V6 into it. :) Seriously, the main thing on these cars is to watch the cooling system; it's got a lot of plastic parts, and after 20 years they get a bit explody. That 300 CE looks pretty sweet, plus it gets instant cred with me for having Sam Flippo's card in it. Sam is one of the nicest guys, and the best Porsche mechanic OKC ever knew (sorry to Bob Dumont's family who recently lost the 2nd best Porsche mechanic in OKC history). Sam's still going strong, but sold his business. If Sam was taking care of this car; it was well maintained. This may be more expensive to feed, but it's going to be way less expensive to care for. It won't handle like an S5, but it will turn even more heads, provides the proper V8 soundtrack, is way easier to fix, and repair parts are going to be pretty easy to find. It is a bit hard for me to believe I'm suggesting it as a daily driver, but it's moderately less deranged a choice than a German luxury sedan that is heading for the bottom of the depreciation curve at top speed. man this could be a really great car with proper Pontiac Rally wheels. I would want it for sure.